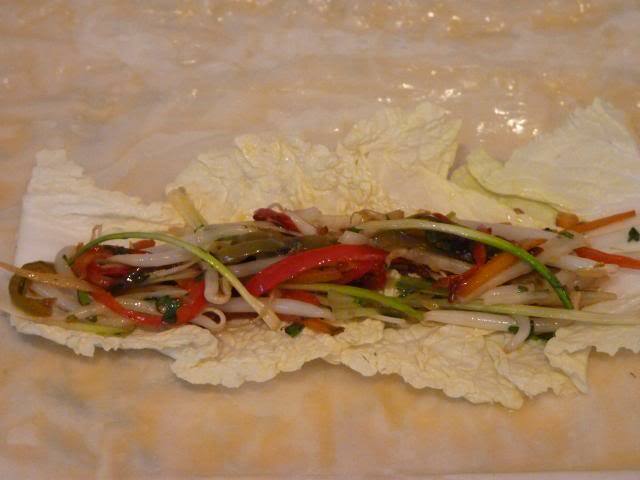 Here is a recipe for spring rolls from Gary Mueller which is as real crowd pleaser. 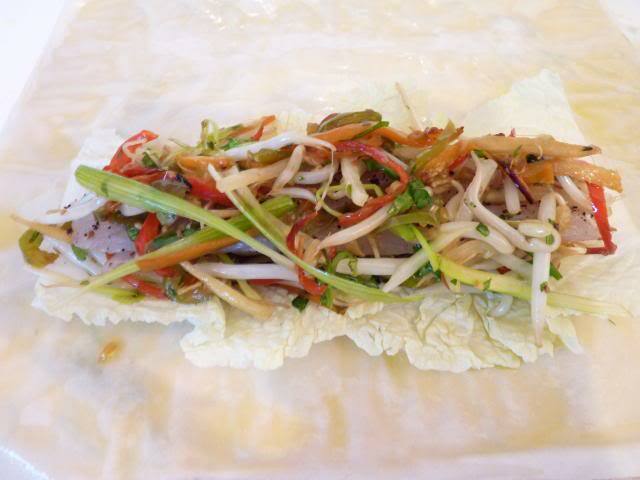 Although the recipe calls for Bass you can use any other white fish fillet like Pollock Bream or even Cod to make this scrummy snack ! 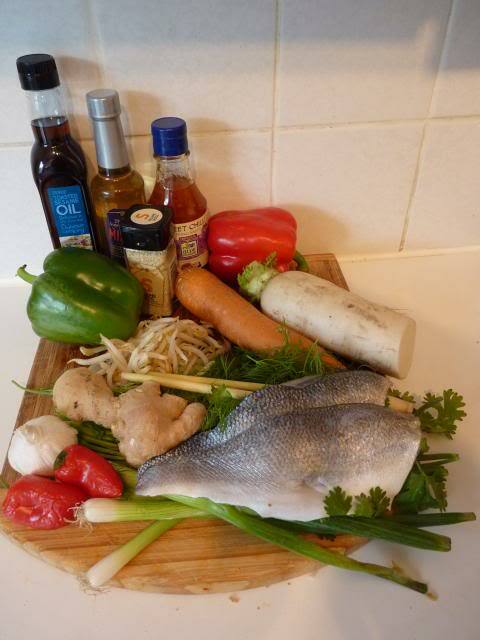 Skin and pin bone the Bass fillets,season and pop into the fridge till needed. 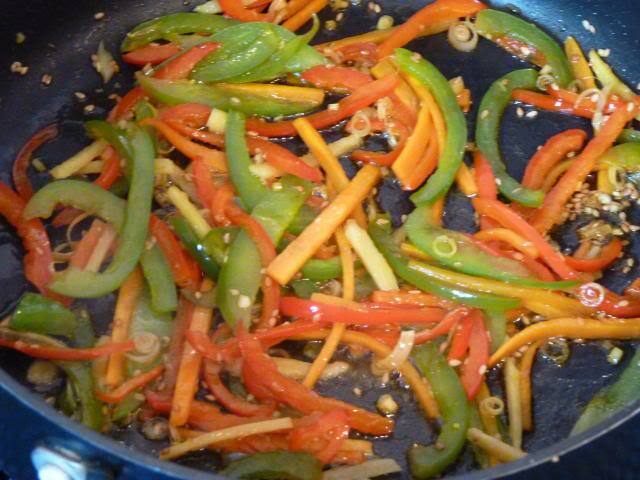 Heat some vegetable oil to a medium heat and stir fry the Garlic, Ginger, Carrots ,Peppers, Chilli ,Lemon Grass for a few minutes, until they are cooked but still crisp. Then add the toasted sesame seeds for a further 1 minute. Then add the Mirin, Sesame Oil and Soy Sauce and season to taste. 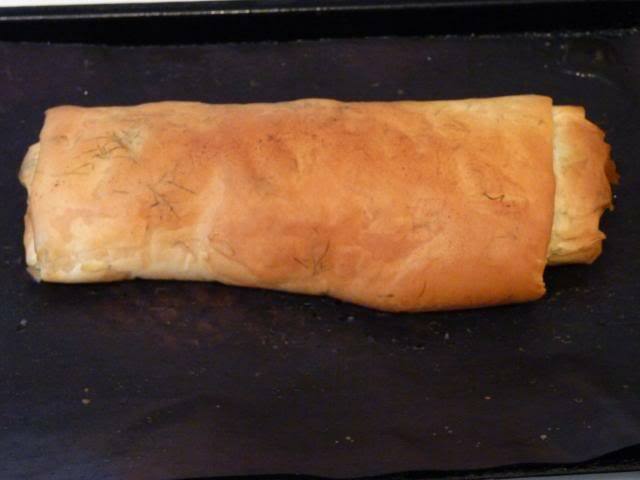 Once cooked set aside to cool. 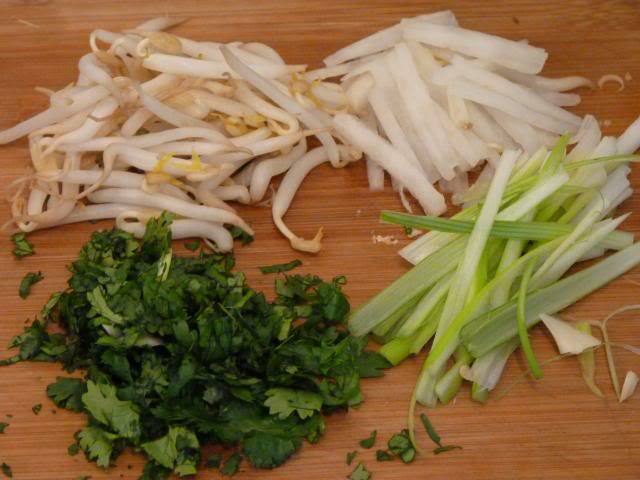 The Beansprouts, Mooli Radish, Spring Onions and Coriander can now be added to the cooled fried vegetables and mixed together. 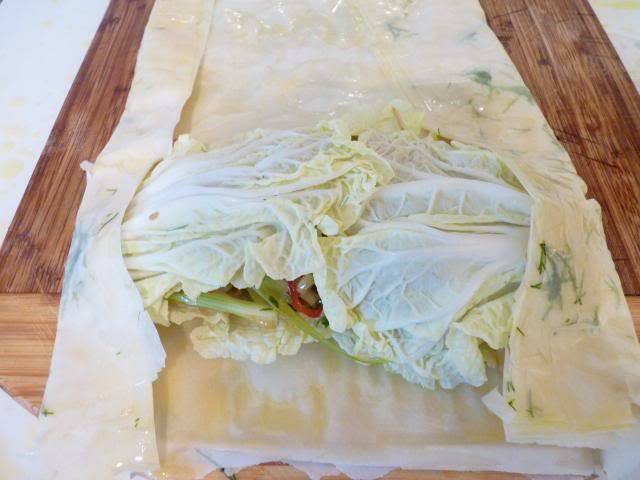 On a work surface lay out the Filo Pastry and wash the edges with melted butter then sprinkle some chopped Dill over the filo sheet. 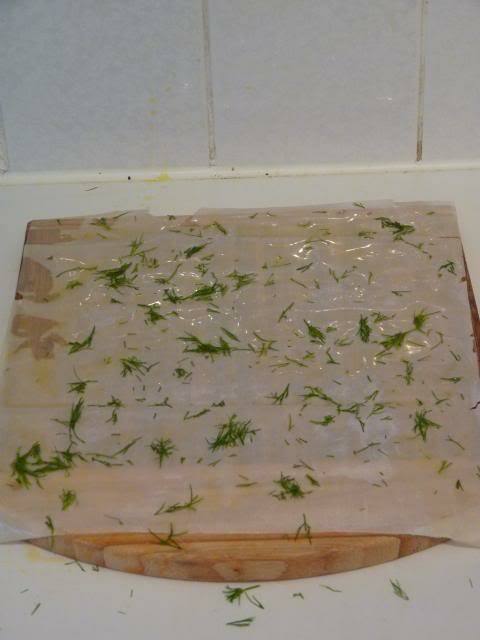 Wash every other whole sheet of pastry with egg yolk or melted butter but add chopped Dill to each sheet. Six sheets is more then enough. 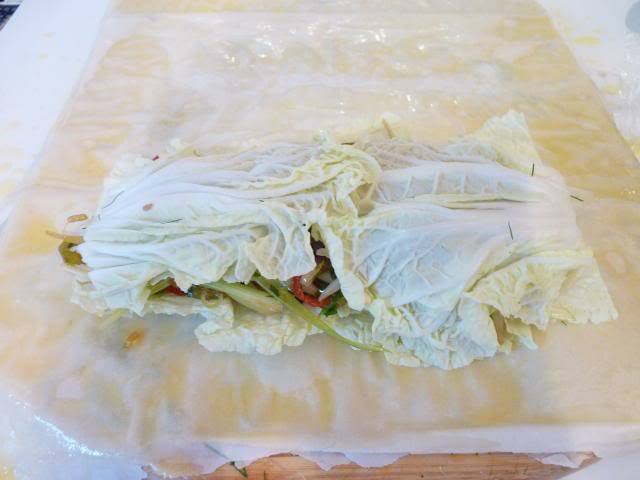 Then add a portion of the mixed vegetables on top of the Cabbage Leaves. 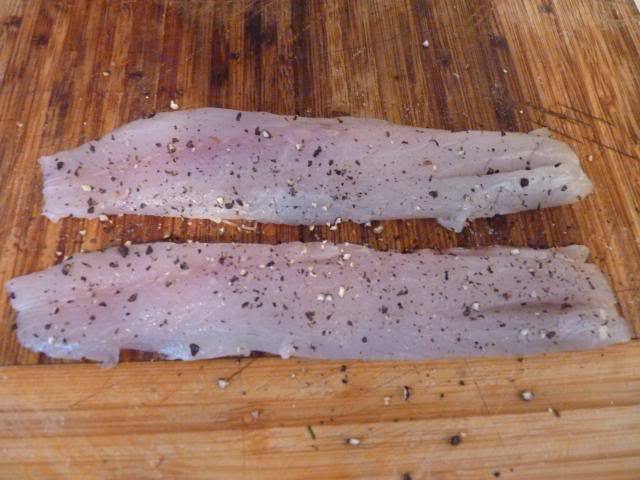 Add your Bass Fillet (trimmed to 8 ins length approx. x 2 ins wide) on top of the vegetables. 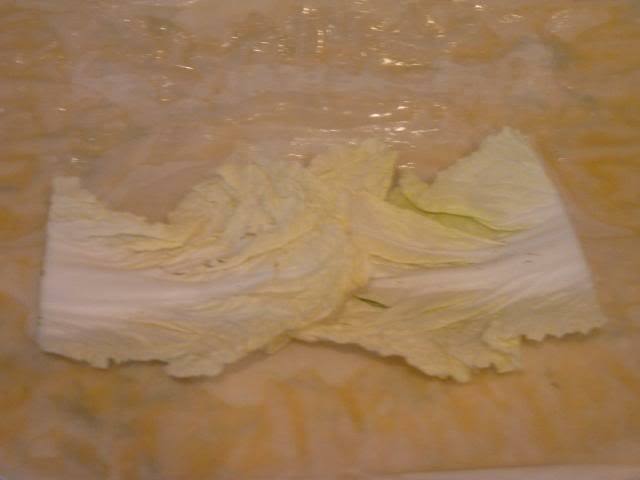 Finish off our sandwich with 2 more Chinese Cabbage Outer Leaves. 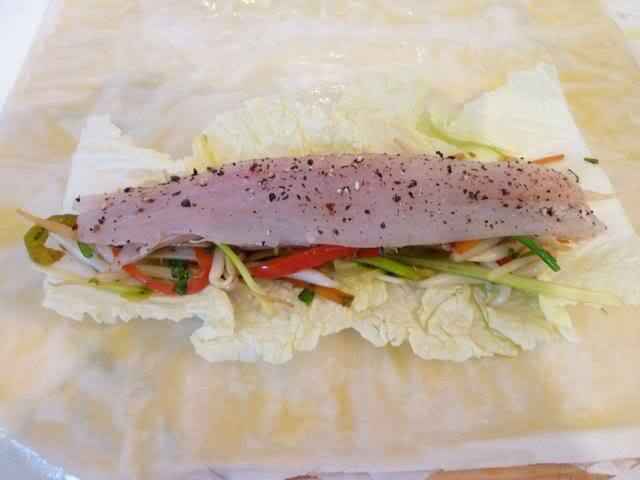 Carefully bring in the outer edges of the filo pastry and wrap around the ends of the fish and vegetable mixture and roll up from the end tucking in any loose pastry as you go. 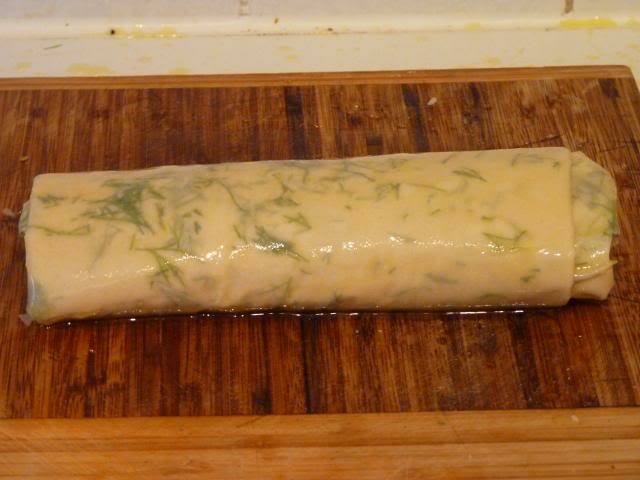 Once finished rolling, brush with melted butter all over. 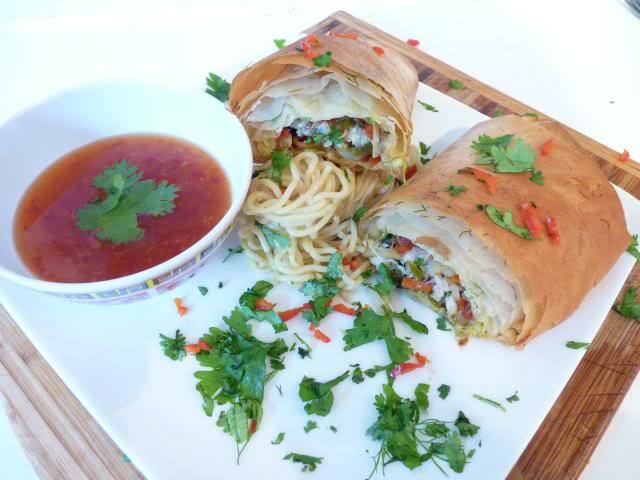 Eat hot with a sweet Chilli dipping sauce. 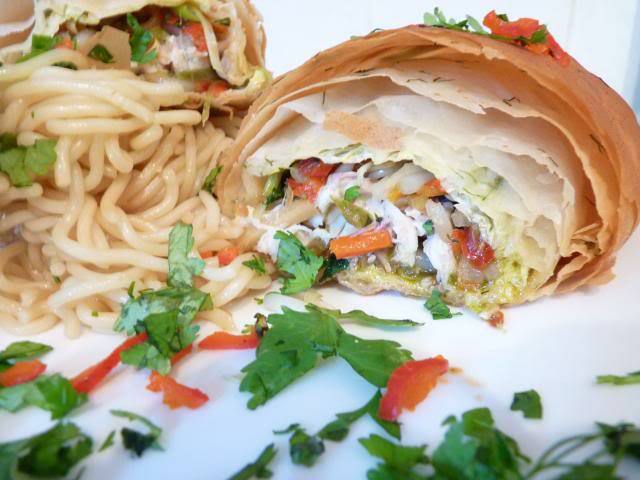 Or Serve with Udon Noodles. 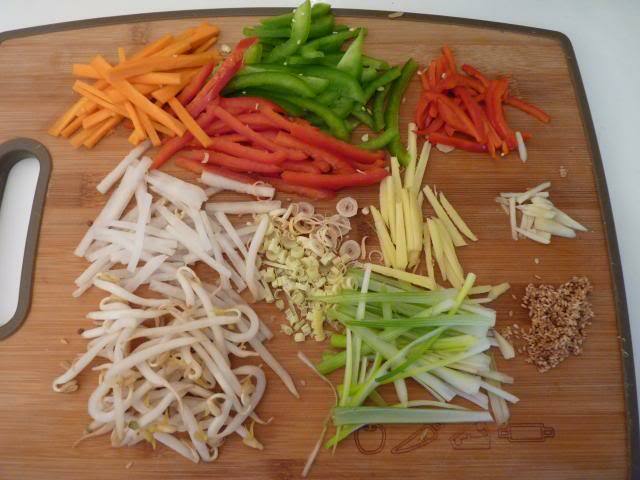 One Response to "Crunchy Vegetable & Bass spring roll"